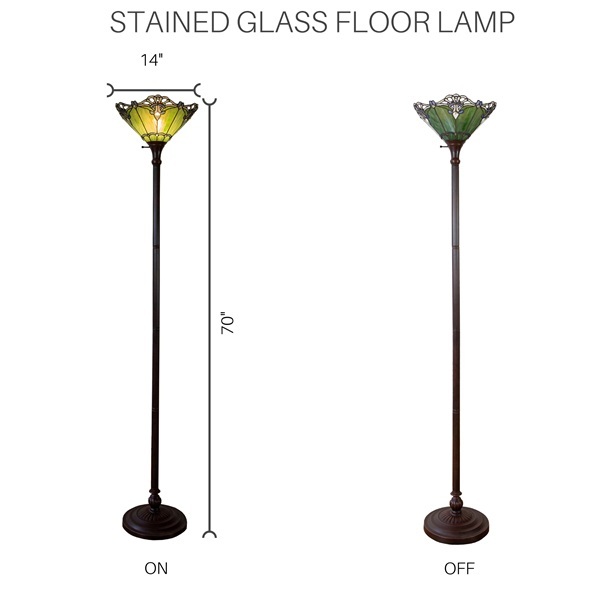 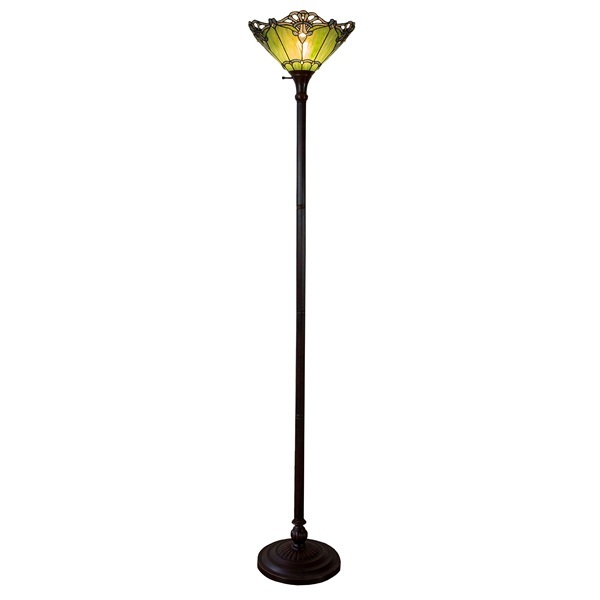 This Victorian inspired stained glass crystal lace torchiere floor lamp is the perfect staple for your home's lighting needs. 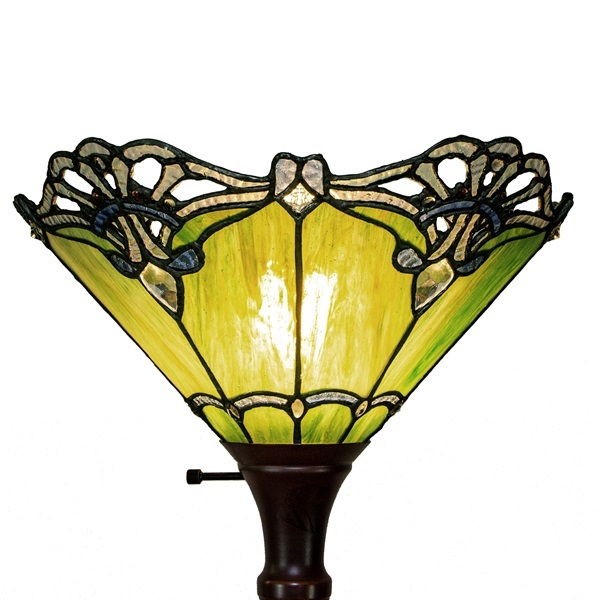 The shade is made with more than 155 pieces of stained glass and 45 real glass cabochons. 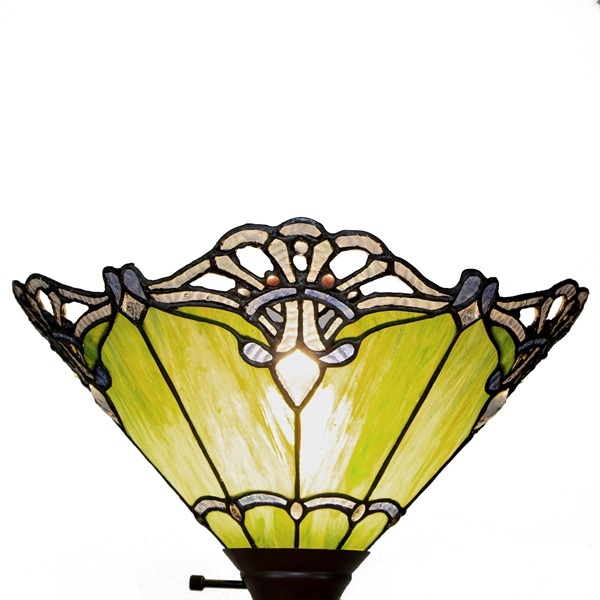 The lacework detailing at the top of the lamp shade enhances the beauty of the prominent, crystal cabochons. 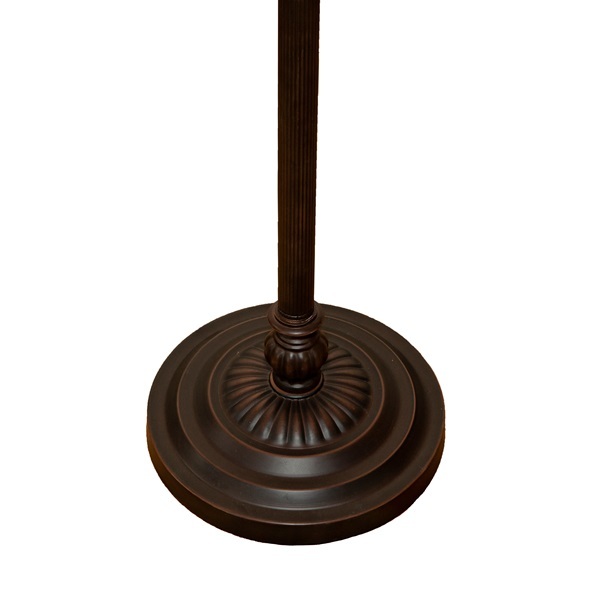 The torchiere shape of the lamp shade allows the light to add gentle ambiance to your living, office or dining room space. 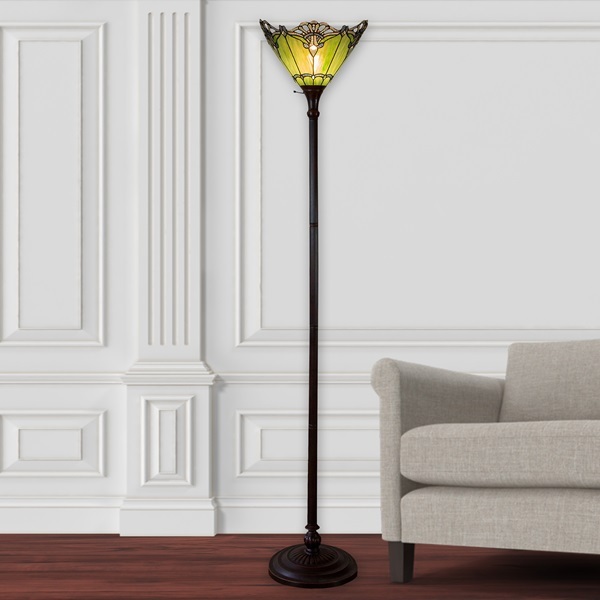 Be ready for this lamp to take the spotlight in your room, as it's sure to attract attention.